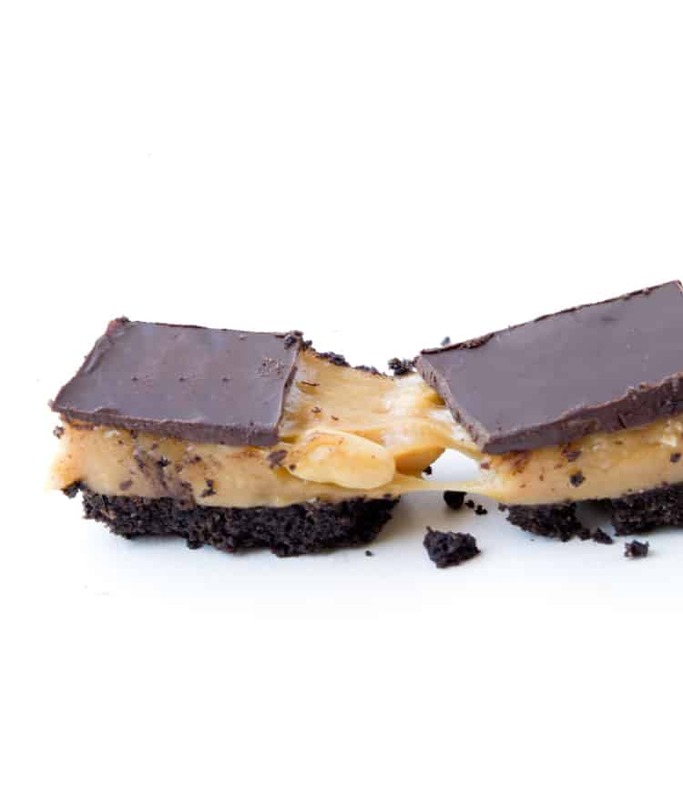 You’ll love these copycat Snickers Oreo Bars. 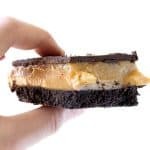 With an Oreo crust, a sticky peanut butter caramel filling and a smooth chocolate topping, they taste even better than the real thing. Do you love Snickers? 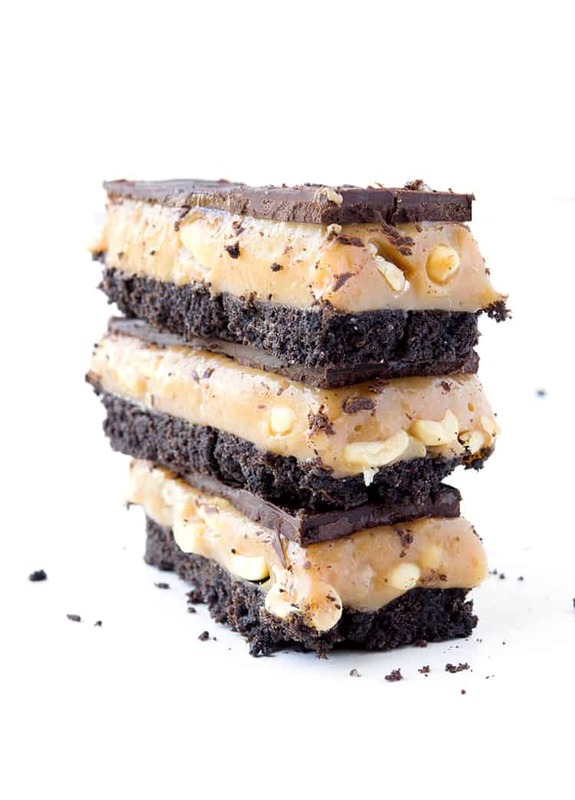 If so, you’re going to LOVE these Copycat Snickers Oreo Bars. 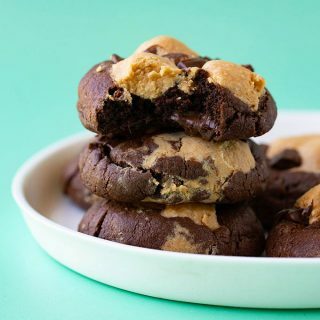 They’re chewy, gooey and packed with peanut butter. Plus there’s Oreos AND chocolate! And you’ll love just how easy these bars are to make. No corn syrup, no candy thermometers – just caramel, peanut butter, chocolate, marshmallow HEAVEN. I’m definitely a Snickers fan. Remember my Snickers Chocolate Brownies? And my Snickers Chocolate Cake? And my Snickers Peanut Butter Pie? Yeeeah I can’t get enough of peanut butter, caramel and chocolate. That’s why these bars 👆🏻 are my FAVOURITE THING IN THE WORLD. 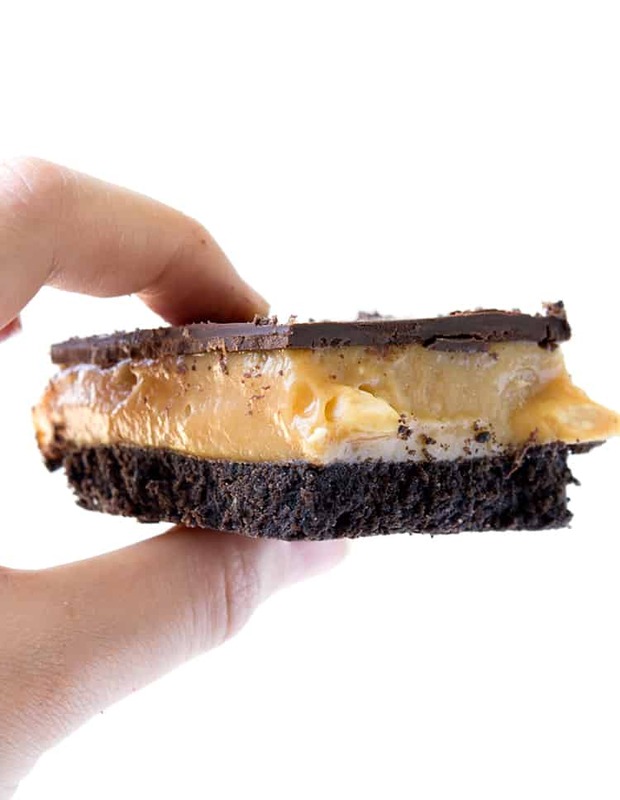 It all starts with a crumbly Oreo cookie base (so we’re already winning), followed by a gooey caramel peanut filling made using evaporated milk, peanut butter and marshmallows. Add a little butter, sugar and vanilla and you end up with a creamy caramel-like filling that sets up perfectly in the fridge. The marshmallows help to stabilise the mixture (just like in my Chocolate Mousse Cake) so you don’t have to fiddle around with corn syrup, glucose syrup or gelatine – you know I love to keep things easy around here. 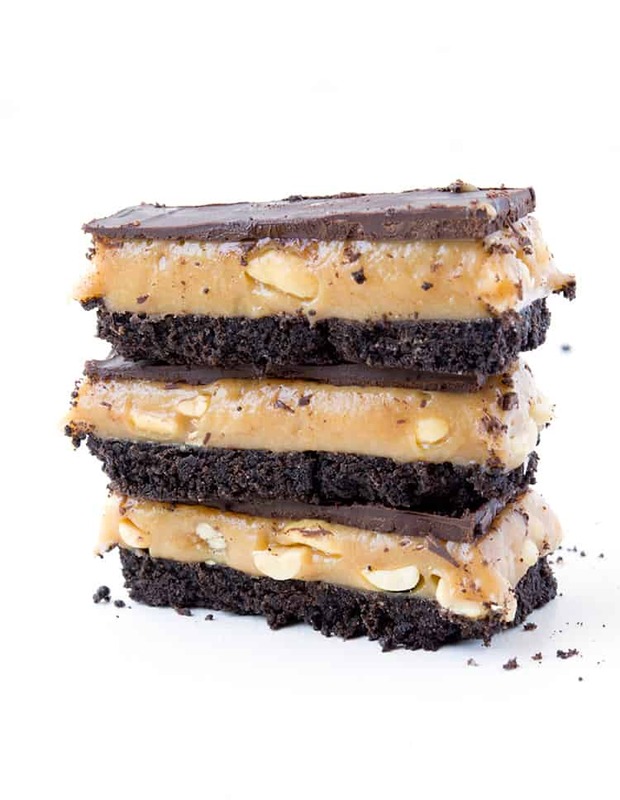 What you end up with is a seriously sticky, chewy and downright DELICIOUS peanut butter caramel. It’s sweet and salty at the same time. Oh and it’s packed with roasted peanuts, just like a Snickers bar! The FINAL touch is a thin layer of chocolate. 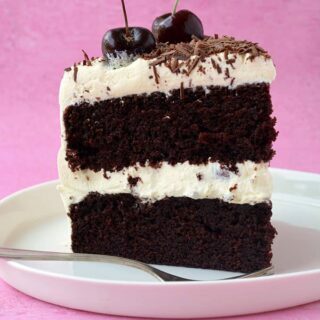 Because there’s always room for chocolate right? 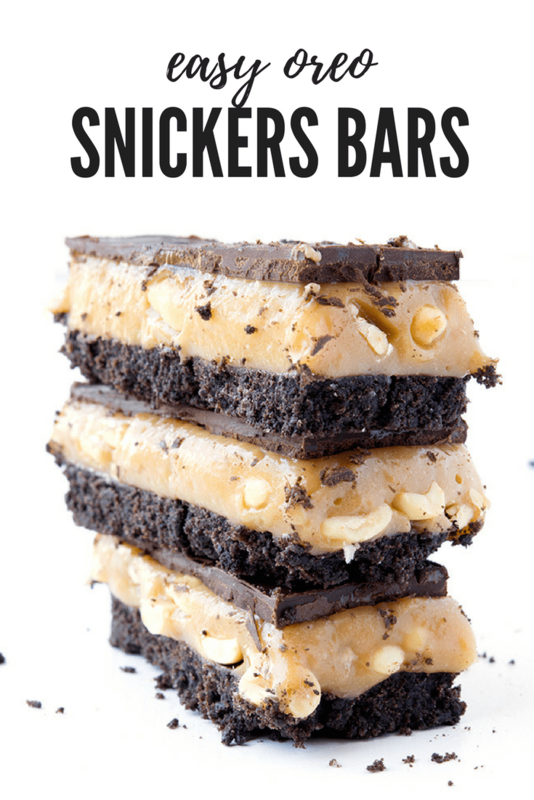 Honestly, I think these Copycat Snickers Bars are even better than the real thing! 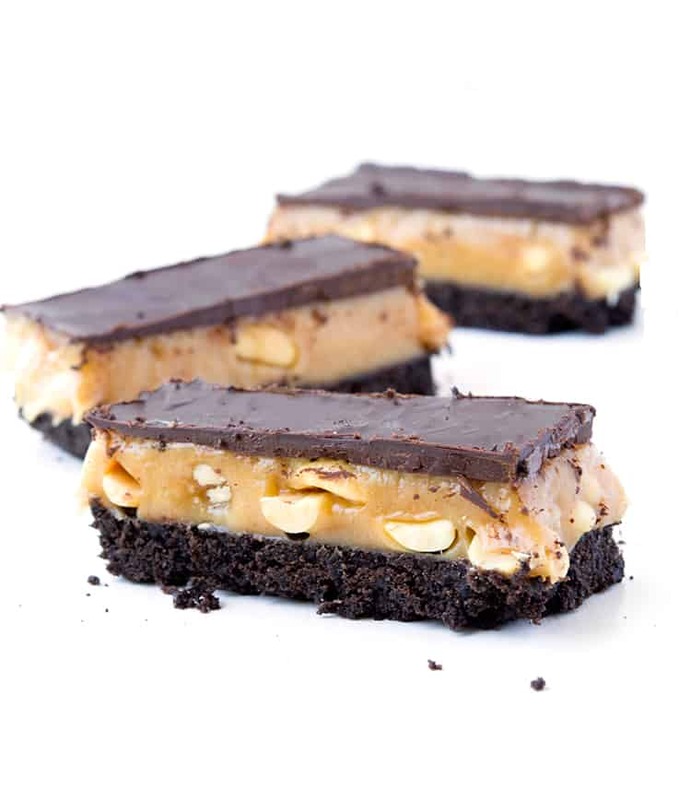 Gooey peanut butter caramel bars with a crunchy Oreo crust. Grease and line an 8 inch square tin with baking or parchment paper, ensuring two sides overhang. Crush your Oreos (filling and all) until they resemble fine crumbs using a food processor or if you don’t have one, use a plastic zip lock bag and a rolling pin. Add butter and stir until all the cookie crumbs are nice and wet and then pour them into your prepared tin. Use the back of a spoon to gently push down the crumbs so they form one even layer. Pop into the fridge. To make the caramel peanut filling, place butter, sugars, vanilla and milk in a medium saucepan. Place on a medium heat and bring to the boil, stirring constantly, then turn down low and simmer for 3-4 minutes or until mixture thickens slightly. Add peanut butter and marshmallows and stir until completely smooth. Remove from heat. Stir through peanuts. Pour caramel filling over Oreo crust. Place in the fridge for at least 3 hours to set. Store Easy Snickers Oreo Bars in the fridge in an airtight container. 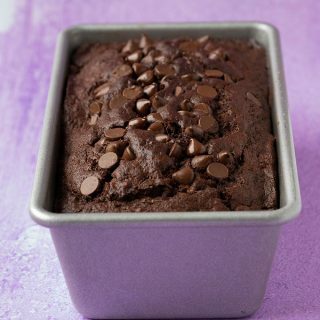 Oh these look so chewy, sticky, chocolaty delicious Jess!